Malia and Sasha Obama round out the trio of trailblazers (including their mom) who have blessed us with so much class these last eight years. As the Obamas’ last term comes to a close (cue ugly cry), we’re runnin’ it back right quick and taking a look at some of our fave moments, courtesy of the First Black Daughters. 1. When they slay. All day. FLOTUS is known for her bomb style, so it’s only natural that Malia and Sasha have been a trendy two to watch, as well. Remember that state dinner last March? Malia posted up in an embellished champagne-colored, floor-length gown with a sweetheart neckline, and Sasha rocked a burgundy stunner embroidered with mesh and lace. 2. When they go high. Staying on that classy flow is def a way of life, despite all the cruel shade that’s been thrown at them for the past eight years. Instead, they brush their shoulders off and keep it movin’ onto bigger and better things. Sasha landed her first summer job in Martha’s Vineyard this year, and Malia has snagged an acceptance to Harvard, as well as internships on the set of the HBO series, Girls and in the U.S. Embassy in Spain (she’s fluent in the language). 3. When they keep it all the way 💯. 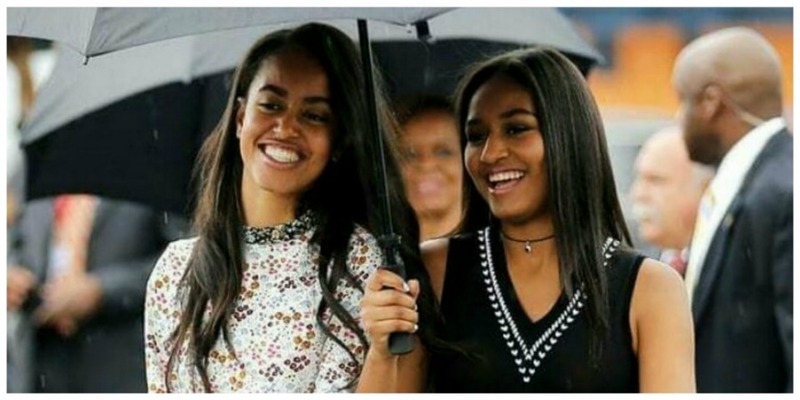 Malia and Sasha may be the First Daughters, but they’re also straight up regular teens. Malia’s hit up a few music festivals with her crew, and just last week, Sasha and one of her friends were spotted lip synching along to Chance the Rapper’s performance at the annual National Christmas Tree lighting. Basically, they came, they saw, they changed the game forever. And we are gonna miss the mess out of them! What are some of your favorite Malia and Sasha moments? Leave ’em in the comments below!